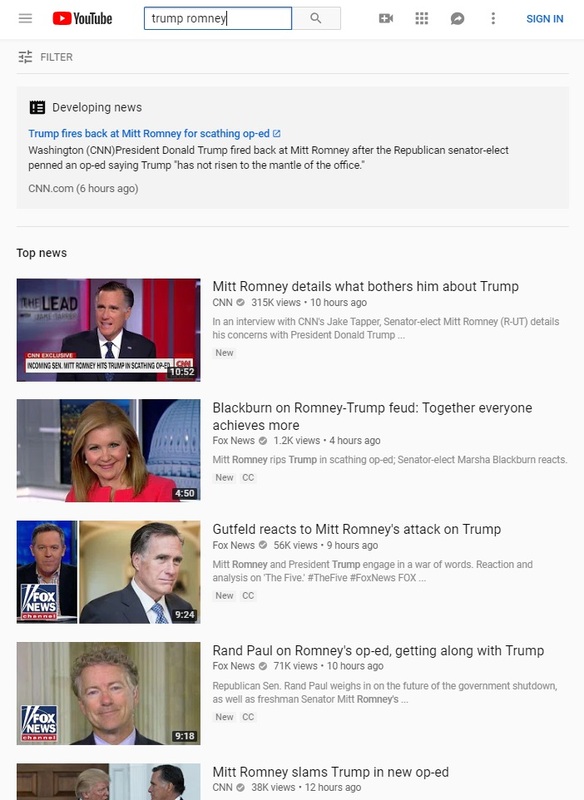 Google-owned YouTube has introduced a new “feature” whereby news-related search terms now offer links directly to CNN’s website as the number one result. The infowar takes an expected turn as establishment media and tech giants are positive Americans forgot about this year’s mass censorship of conservative voices. Consumer and activist groups called Monday for an investigation into Google-owned YouTube for allowing advertising to be targeted at children in apparent violation of US law. It’s been a wild week for InfoWars’s DC bureau chief Jerome Corsi. On Tuesday, Corsi, a proponent of the QAnon andObama birther conspiracies, was riding high after being printed in USA Today, the country’s highest-circulating paper. Today, he was kicked off YouTube for life.